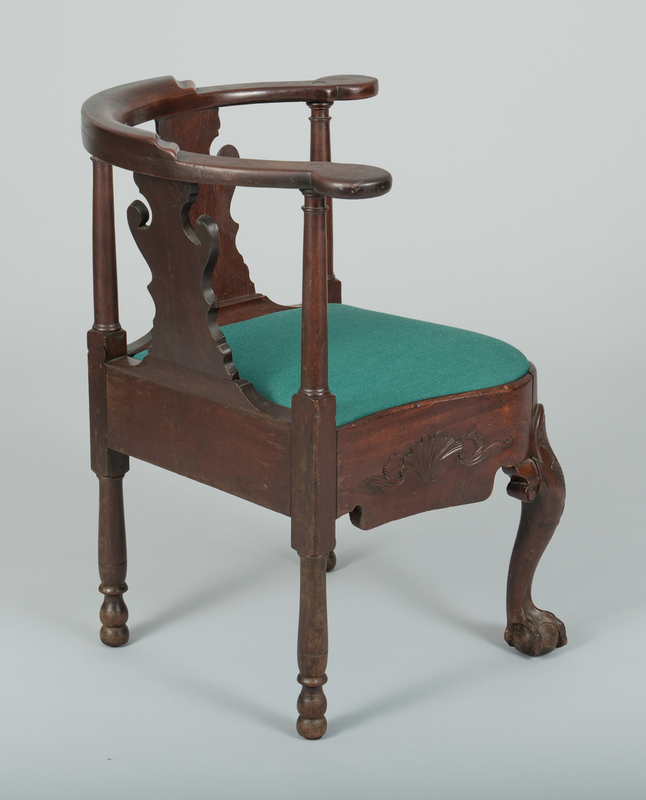 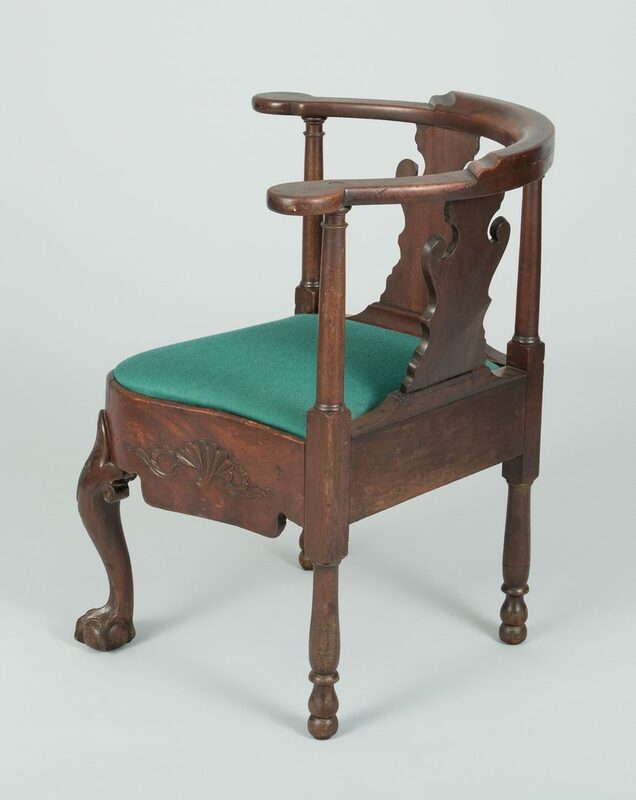 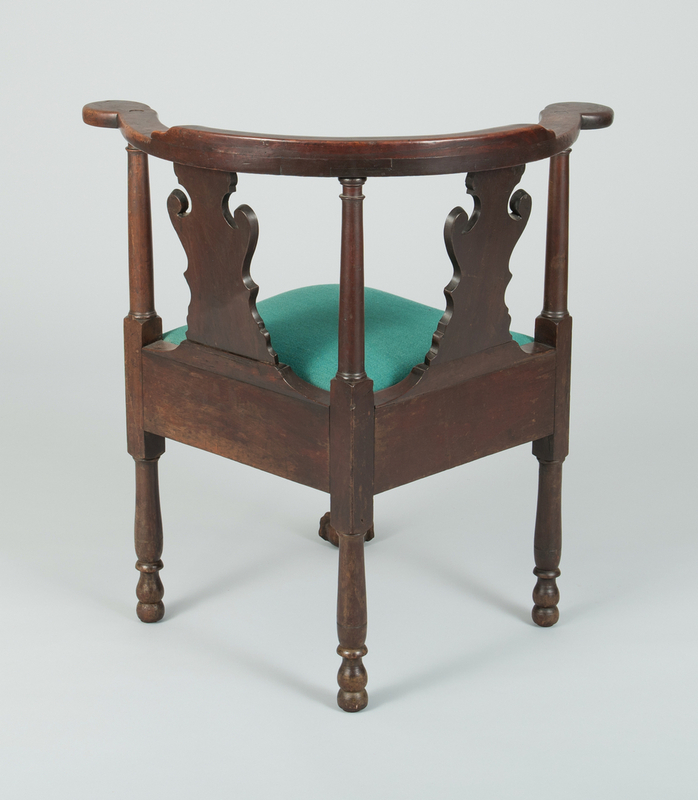 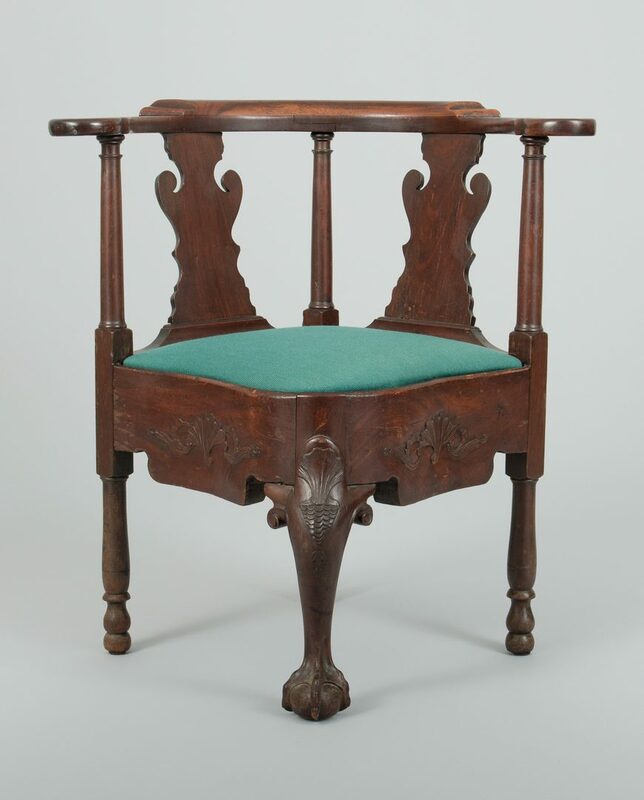 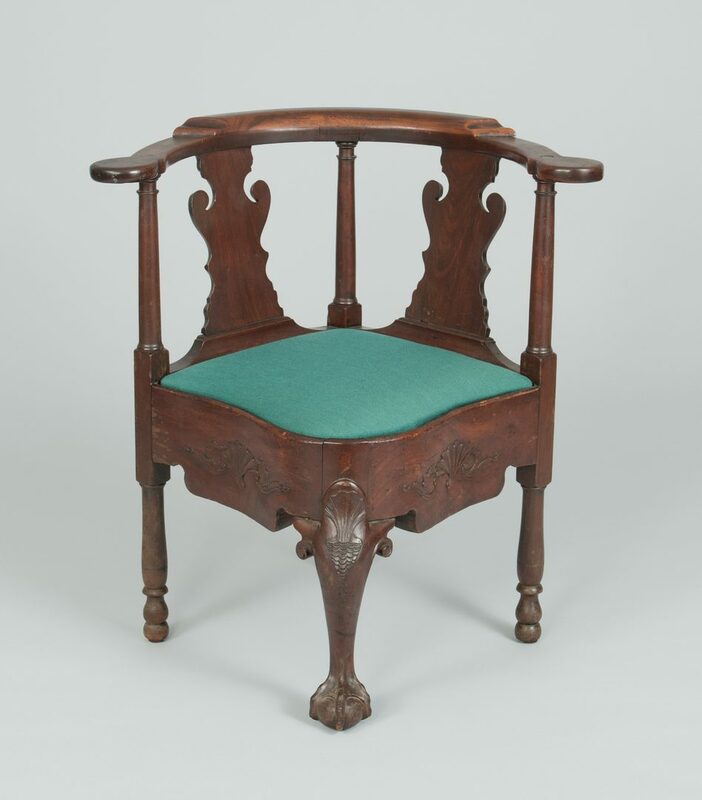 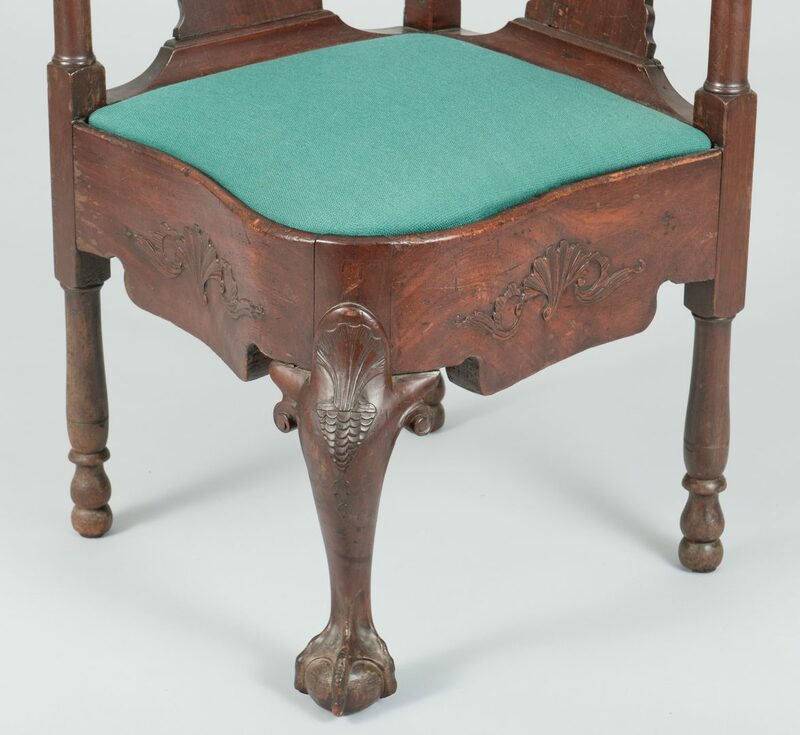 18th century Chippendale corner chair, mahogany with vasiform shaped splats, shaped skirt with relief carved scrolled ornament, center leg having a shell carved knee and ball and claw foot, the other legs baluster turned. 31 1/2" H x 24 3/4" W x 26 1/2" D. Possibly Irish or Continental. 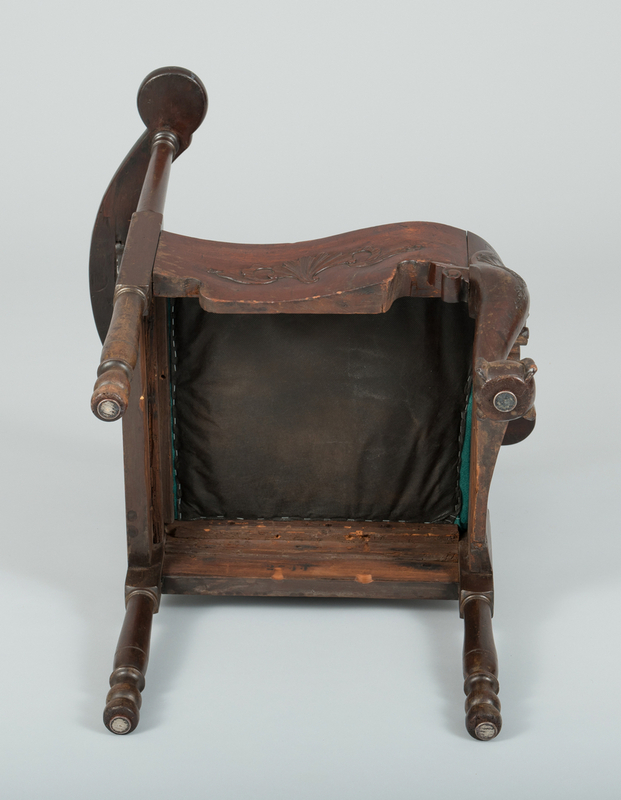 CONDITION: Patch repair above knee, repaired break at center back post and arm, repair to one shoe, lacking glue blocks. 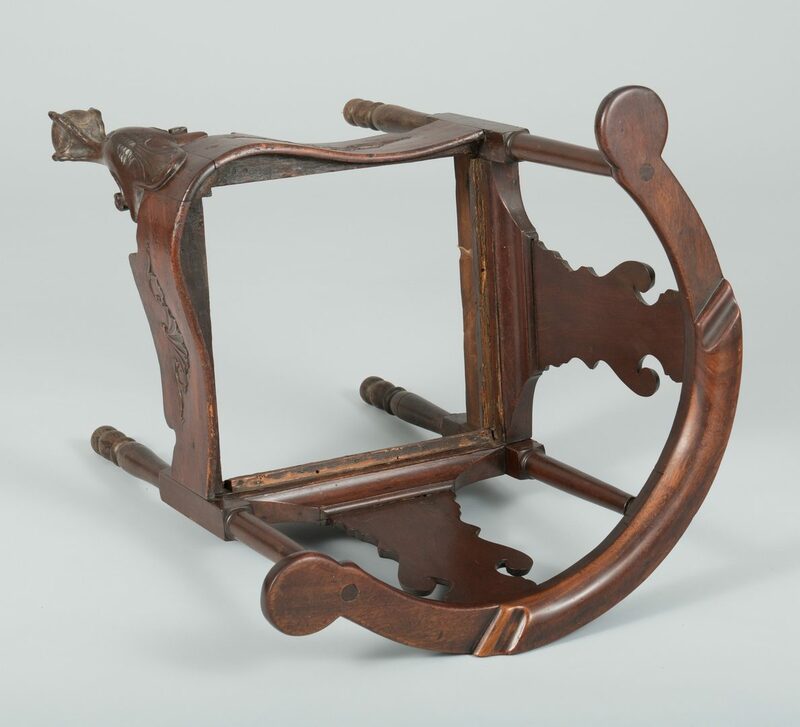 Older surface.